This handbroom is inspired by an old superstition that it’s bad luck to rest a broom on its bristles. 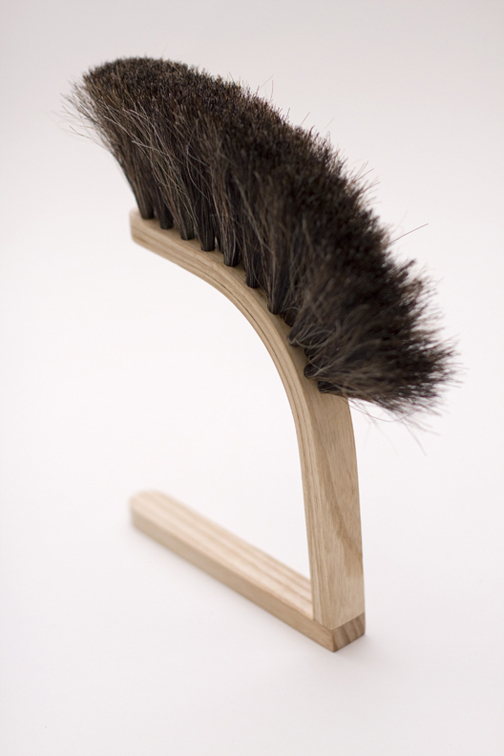 The unique handle allows it to be easily hung off a ledge or placed upright on a surface, not just for good measure, but to keep the bristles straight and protected. The handle is made by hand of steam bent Ash with horsehair bristles.